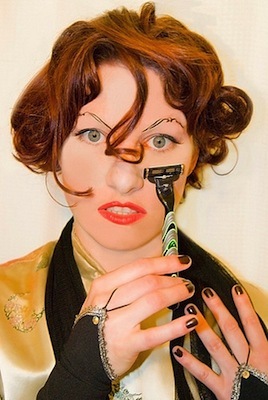 Amanda Palmer, also known as Amanda F**king Palmer, also known a one half of the dark punk duo The Dresden Dolls, will be playing The Fonda Theatre this coming Tuesday, September 25. Palmer will be accompanied the The Grand Theft Orchestra and they will be performing songs off their new album “Theatre Is Evil.” If you haven’t picked it up….do it now. There’s really no excuse not to as Palmer has embraced the pay what you want format and even includes a personal message as to why she’s chosen this way to release her newest work. Palmer’s piano expertise and voice are the driving force of the album, but they’re well accompanied by the full modern orchestral sound of drums, guitar, bass, strings, timpani, horns, and synth provided by The Grand Theft Orchestra; it is well worth the hard-drive space. Go get the album if you haven’t already, pick out your favorite song (mine’s “The Bed Song“), and join us at The Fonda Theatre on the 25th and sing it loud. Supporting acts are The Simple Pleasure, Jherek Bischoff, and Ronald Reagan. Tickets are $25 (not including any fees), doors open at 8 p.m. and the event is all ages. Enter the contest below for a chance to win a pair of tickets, courtesy of our friends at The Fonda Theatre. You must have a Twitter or Facebook to enter the contest. First make sure you’re following Grimy Goods on Twitter here and/or “like” our Facebook page here. We’ll pick winners on Sep 23. The winners will be direct messaged on Twitter or contacted below their contest entry comment on the Grimy Goods Facebook page. Winners will have until 10 a.m. on Sep 24 to claim their win or the tickets will be forfeited. To increase your chances, enter the contest both ways! Via Facebook: Just leave a comment on the Grimy Goods Facebook page telling us why you should win! Be sure to mention Amanda Palmer & The Grand Theft Orchestra and The Fonda Theatre so we know which contest you’re entering! 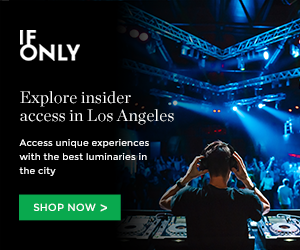 For more cool shows coming up at The Fonda Theatre click here. To enter other Grimy Goods contests, click here. This entry was posted in Giveaways and tagged Amanda Palmer, amandapalmer, contest, free tickets, the fonda, the fonda theatre, Theatre Is Evil, thefonda, ticket giveaway, tickets contests, win on September 21, 2012 by Sandra Burciaga Olinger.